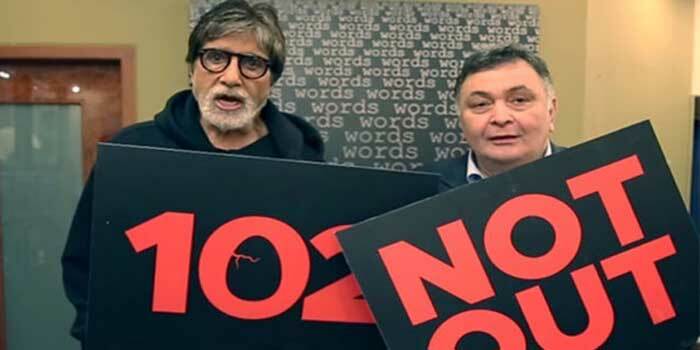 Filmmaker Umesh Shukla’s ‘102 Not Out’ starring stalwarts of Indian cinema –Amitabh Bachchan and Rishi Kapoor, is receiving a good response and it will be now screened for President Ram Nath Kovind at Rashtrapati Bhavan, trade sources said on Saturday. The special screening will also be attended by Rashtrapati Bhavan officials, ministers and their families. ‘I think some officials from Rashtrapati Bhavan got to know about the film and we got a request for a screening. It is a film which three generations of a family can sit and watch together. It is our privilege that the film is being screened for the President,’ Umesh Shukla said. “It is a matter of great pride for any filmmaker for his film to be screened at the Rashtrapati Bhavan. I am curious to know the President’s views on the movie,’ the director said. The veteran actors have shared screen space after a gap of 27 years. The hit jodi has worked in several iconic films including ‘Amar Akbar Anthony’, ‘Kabhie Kabhie’, ‘Ajooba’, ‘Naseeb’ and ‘Coolie’. A Sony Pictures Releasing International Presentation and worldwide distribution- 102 Not Out is Produced by SPE Films India, Treetop Entertainment and Umesh Shukla’s Benchmark Pictures. The film was released worldwide on May 4.